Along with foundation, concealer is one of my favourite products. I did my first Concealer Low Down post in March last year which included eleven concealers including the NARS Radiant Cream Concealer. 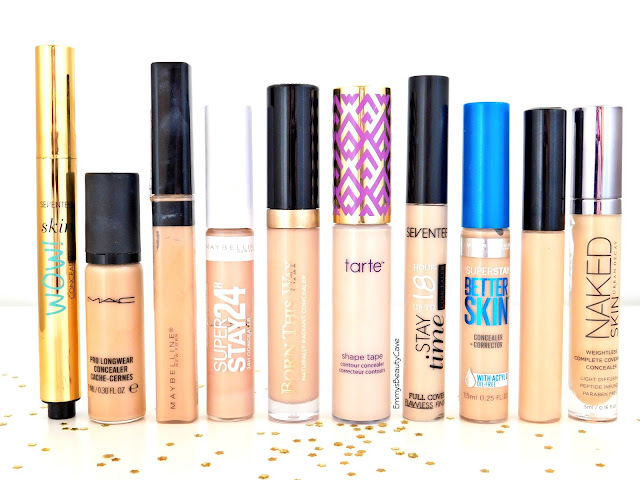 I thought now I would do a second concealer comparison post with a whole bunch of different concealers. These are just some of the ones I own, yes I am addicted. I have put them into categories including fuller coverage, dupes and medium coverage and compared each concealer so you can determine which one is for you. 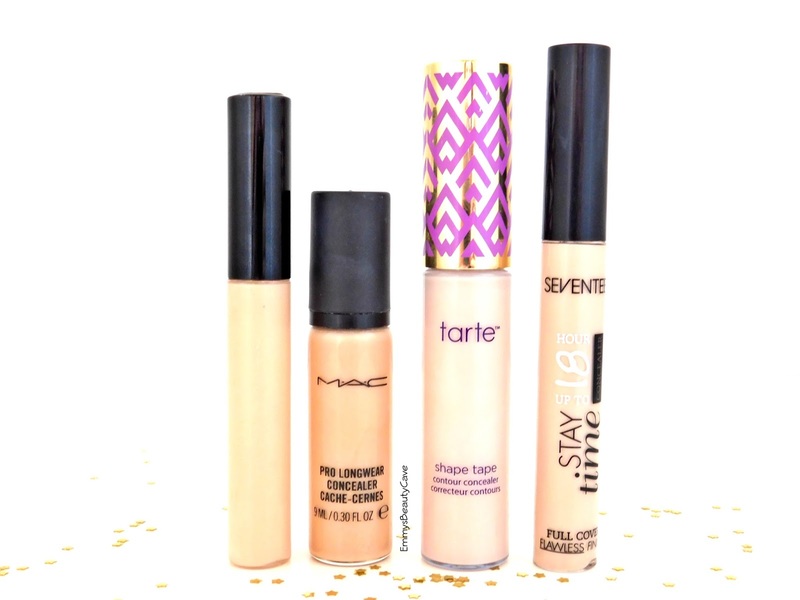 I suffer with dark under eye circles and find concealer is a massive part of my makeup routine. 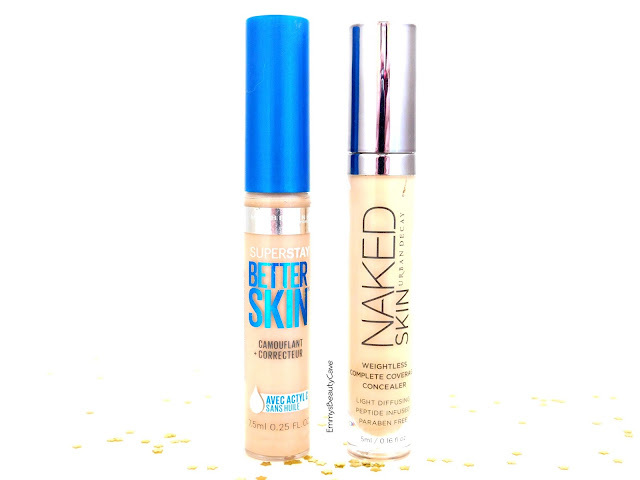 Probably one of the most raved about concealers. I really do enjoy this as it is definitely full coverage and does a great job at concealing dark circles. It is thicker and slightly drying. I do use an eye balm before hand to ensure it doesn't dry out my skin. The only negative is the shade for some people, it comes in four shades which are all quite neutral toned neither pink nor yellow. I don't mind neutral shades as im very pale and find pink toned or neutral tones work best for me. This is the first high end concealer I ever purchased and I must be on my fourth one now. It is 100% full coverage. This one is more of a runny consistency and you only need a small amount so the tube lasts ages. The shade range is huge. I get the shade NW15 as im usually a NW20 and find the NW15 does an amazing job at brightening too. The only negative is the pump as it is hard to judge how much product is dispensed. I finally got my hands on this as on Boxing Day the Tarte Website had 25% plus free international shipping so I only paid £14 for the concealer and didn't get customs as it was under £15. I can see why this is so hyped about. It is full coverage, it reminds me alot of the MAC concealer just with a thicker consistency. It is a little drying but I always use eye creams and balms first. It comes in a whopping fourteen shades! I picked the shade Fair Beige which is the third lightest shade but it is perfect. Even though I am pale this shade is very pale too! It brightens really well. Such an underrated product! I have been using this concealer for so long. It is very creamy and not drying at all. 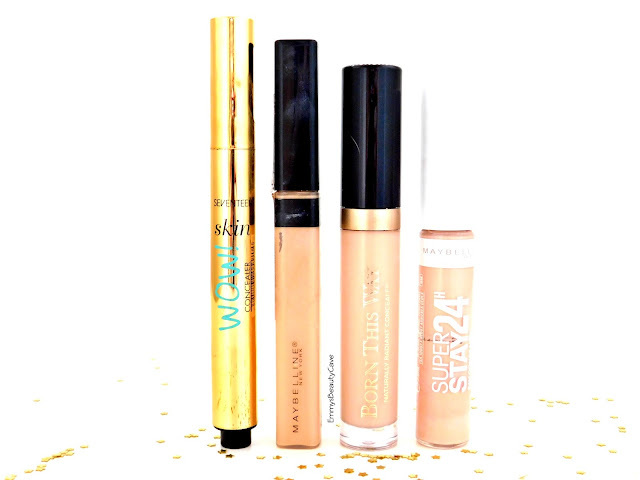 Probably the creamiest out of these four concealers. It comes in three shades and I have the lightest shade. The shades are more for pale or light skin tones. Seventeen definitely need to adjust their shade range so it caters for more skin tones. I am completely in love with this concealer. I find it can give medium coverage but I prefer to use another concealer for under my eyes then I use this more on my highlight area's as it does a great job at brightening. It only comes in two shades fair and medium. I own both and find medium works better. Fair is yellow toned and Medium is pink toned but they both seem as light as each other it just depends what undertone you prefer. I don't understand how people compare this to the NARS Radiant Creamy concealer as I find them to be completely different. This is extremely creamy and perfect for under your eyes. It looks flawless. I find it can be medium/full coverage. I find it gives fuller coverage if I pat in with my fingers rather than using a Beauty Blender. It comes in four shades some for lighter skin tones and also darker skin tones. I picked this up when I went to New York in November. You can also buy it at Debenhams. I adore this concealer. It is very creamy, gives medium coverage and looks natural. It comes in ten shades from light to dark skin tones, pink to yellow undertones. I find it works amazingly well along with the Too Faced Born This Way Foundation. 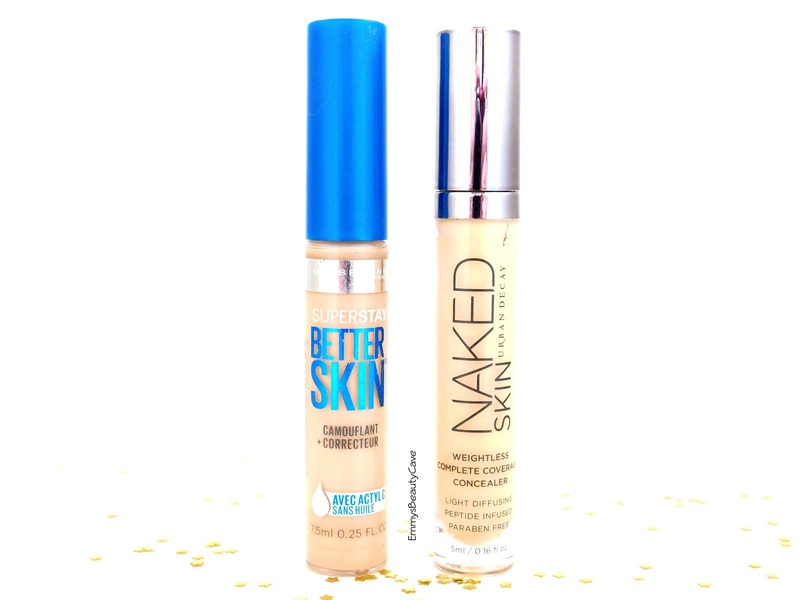 I recently included this concealer in my 8 Underrated Makeup Products Blog Post. Maybelline concealers are my ultimate favourites but I especially love this one. It is medium/full coverage which is perfect, it is extremely creamy and hydrating, it looks flawless and doesn't crease. The shades are more pink toned which is what I look for. I have been using this for around three years now even before it become hyped in the blogging world. It is incredible. Medium coverage, brightening and looks flawless. I especially love the wand as it has two flat sides. See my Full Review Here to see pictures of the wand and swatches. This is the US version, I have tried the UK version but it isn't the same and the shades are better in the US. I get mine from Ebay or Amazon for under £10. It is a very good alternative to the Urban Decay one. The formula is very similar and they both brighten really well. I love all of these concealers for different reasons. Don't forget to check out my first Concealer Low Down post which includes NARS, NYX & more.